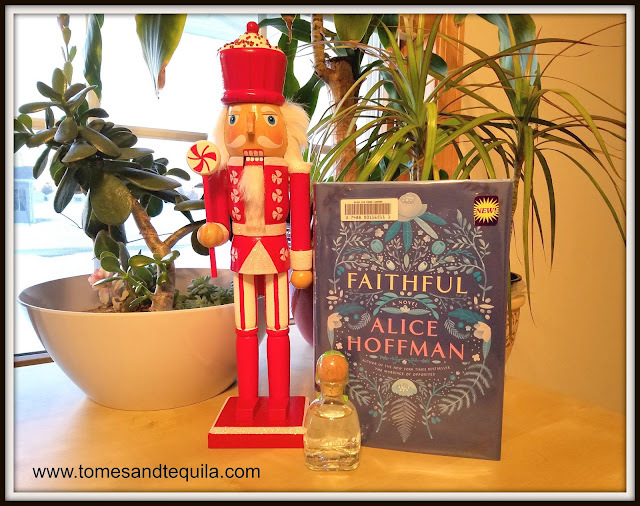 I finally got around to reading Faithful by Alice Hoffman. It came out in November and had been on my To Read list since before I laid hands on it at the library. But I have to be honest and say, it's a small book (258 pages) that I finished in one sitting in my attempts at reaching that elusive Goodreads goal I set for myself and am trying desperately to fail this year. So while it had a description I found intriguing, and a beautiful cover, the timing wasn't coincidental (note, the last 4 books have been around 250 pages I believe). Faithful tells the messy story of Shelby. We begin with her as a high school senior and the fallout of a car accident she is in with her best friend Helene. She was driving and comes out physically unscathed, while Helene is in a coma she never wakes from. Shelby blames herself and shuts down completely. There is a suicide attempt, self-harm, drug-abuse and just a general dropping out of life as she'd known it. For about two years she lives in her parent's basement...emaciated...complete with shaved head and drug habit. She buys drugs from Ben, who she eventually realizes is in love with her. Instead of being the nerdy bum she always believed him to be, she finds he's actually a college graduate about to embark on a professional program in New York City. He, of course, wants to save her...wants her to go with him and get "better". So together they leave and start a new life away from the sleeping Helene and the town that will never forget. Throughout the story we watch Shelby slowly and crankily come out of her shell and become a human again. She begrudgingly makes friends with a single mother at the pet store she starts working at, not knowing that the friendship will become long-lasting and incredibly important to her. But what heals her more than anything are the stray dogs she saves while grumpily brooding through life. The healing-power-of-saving-stray-dogs-thing sounds way more sappy and Hallmark-channel than it actually is, I just don't know a better way of describing how stealing abused dogs from homeless con-artists and abusive junk yard owners actually makes Shelby a better and more human person. It just does. But trust me, Shelby is more Lisbeth Salander than Snow White. The book follows her as she slowly but surely gains a life back. Not the one she thought she would have. Not the one she and Helene dreamed about as kids. But one better than she dreamed she would achieve after the horrific accident in the snow that haunts her dreams. I really enjoyed this book and the character Shelby. One day...one incident...changed the entire trajectory of her life. It irreparably affected her...broke her down in a way that she just couldn't come back from. The pain she felt was palpable to me, and the reaction of the people around her felt honest. I especially enjoyed the relationship she has with her mother, and the evolution in Shelby's feelings towards her. I want to say the story covers about a 10 year span, so we have time to see how things pan out, for better and/or worse. Yes, the beginning of the book felt a little like it belonged in the Young Adult section. And I wondered about the talk of angels and miracles that were mainly in the beginning chapters...but I really enjoyed how that particular plot line resolved itself. It turned out way better than I could've hoped. So I'm giving this one a solid 4 stars. It would make a good Book Club selection I think, as it has plenty of discussion fodder. 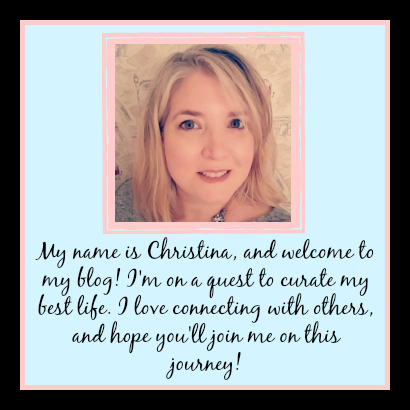 From parenthood to friendship, infidelity to miracles, the healing power of animals to the healing power of Chinese food...plenty to talk about! 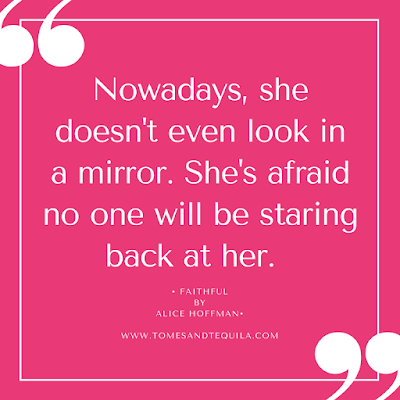 Are you a fan of Alice Hoffman? Or did you just like the movie Practical Magic? Do you believe in the healing power of animals, or did you cringe when you read that?? LOL Let me know in the comments either here or over on my Facebook page.